Each year, the Department of Organizational Psychology at Birkbeck University of London, invites a person of standing in organizational psychology to present the Alec Rodger Memorial Lecture. This year it was presented by Professor David Macleod. 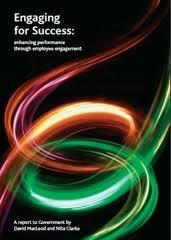 David’s topic was: Employee engagement: Putting the person back in organisations. He argued that organizations have been too busy making or meeting the ‘economic imperative’ and have forgotten about the person in the organization and their importance for organizational life. David has an impressive portfolio of responsibilities. It includes being a Non Executive Director of the Ministry of Justice. 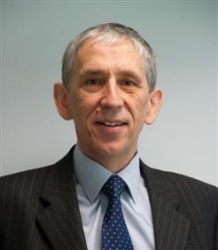 He is a visiting Professor of the Cass Business School and a Fellow of the Ashridge Business School. He is also an Associate of the Institute for Government and a Fellow of the Institute of Marketing. He has co-authored a book called The Extra Mile on the theme of how to engage your people to win and is co-author of the MacLeod Report to Government called Engaging for Success. David is Chair of the Government’s Task Force on Employee Engagement. This entry was posted in Uncategorized and tagged Alec Rodger Memorial Lecture, David MacLeod, Employee engagement, Engaging for success, The extra mile. Bookmark the permalink.